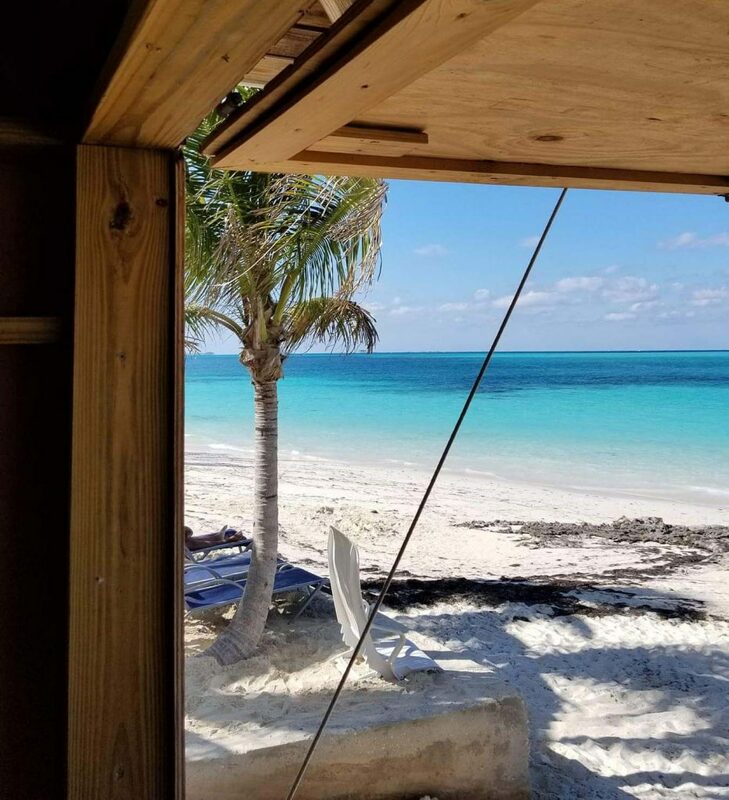 I’ve been on this Bahamas beach bars kick lately so when it came time to post this week’s beach bar pic, I knew it had to be one from our favorite quasi-Caribbean archipelago. Luckily for me, the beach bar bums community is always on top of things and Sherry Gerth-Montgomery hooked me with the below image of Footprints Beach Bar. Located on Rose Island, which is less than five miles from the bustle of Nassau but seemingly a world away, Footprints is often overshadowed by its more famous similarly-foot-themed-named brethren, Sandy Toes. One thing is for certain – Footprints shares the same “Is this a dream?” views as Sandy Toes. You know, the view where you wonder if water can every really be that blue and sand that white, where you have to pinch yourself to be reminded that yes, it’s all real and you’re pretty lucky to be experiencing it. Keep Footrprints Beach Bar in mind the next time you head over to Rose Island. Sherry liked it and that’s good enough in our book. “Footprints is an exotic, unspoiled hideaway that boasts a stunning sea to sea view. Located roughly 8 miles from the harbor of Nassau, Bahamas. The Island is only accessible by boat. Just left there 30 minutes ago. Ronnie is a great host. Our second time there. A true hidden gem! That’s about as up to date as you can get for a review! Thanks for letting us know about Ronnie, Mike!